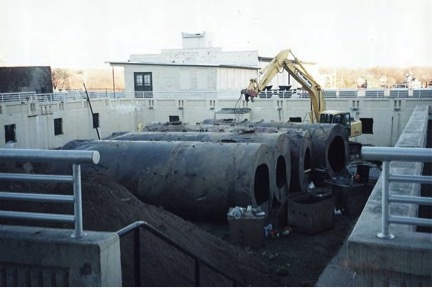 Project Portfolio | Genesis Contracting, Inc. 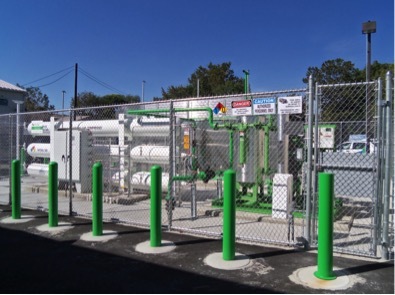 The pictures below represent some of the projects that Genesis has completed over the years. 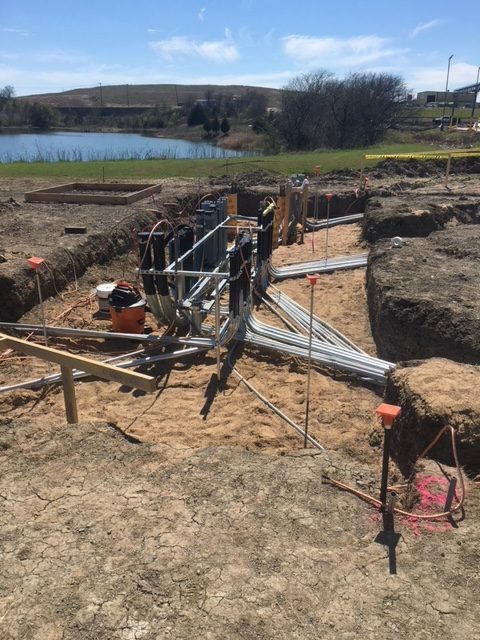 It would be impossible to include all of the projects, but these will give you a few highlights to show you are capabilities as a turn-key operation. 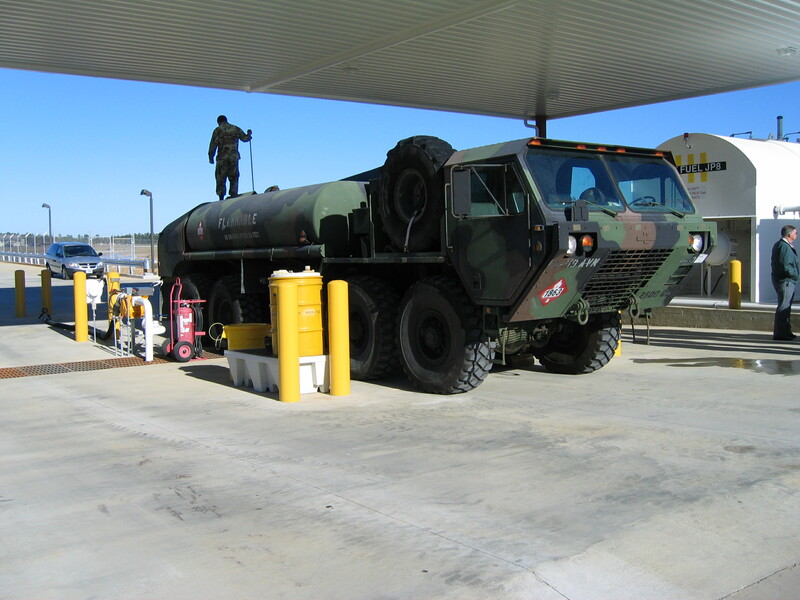 Bulk Fueling Systems for Military Vehicles. 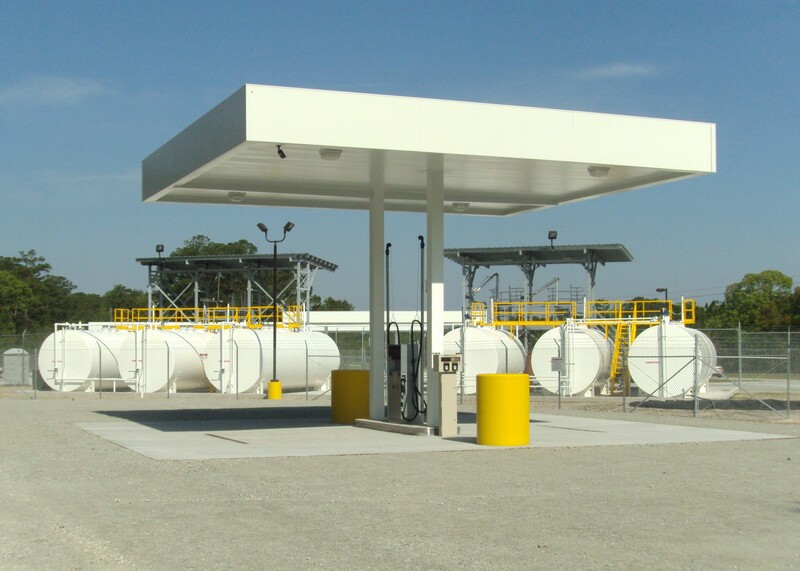 This CNG project consisted of all site work, civil construction, and installation of all the equipment. 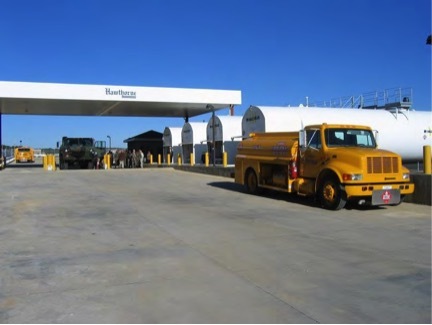 Fueling post at new CNG Station. 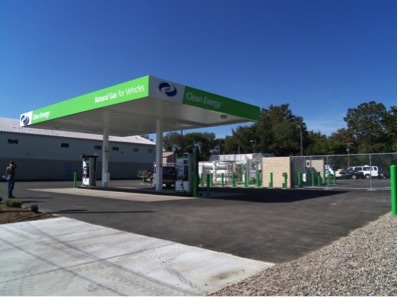 Installation of new CNG station. 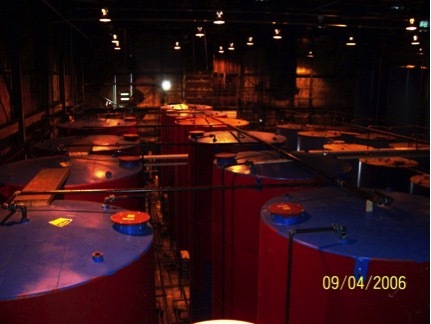 Four 50,000-gallon ASTs and two 20,000-gallon ASTs with 275 gal./min. fuel flow capacity at four points simultaneously. 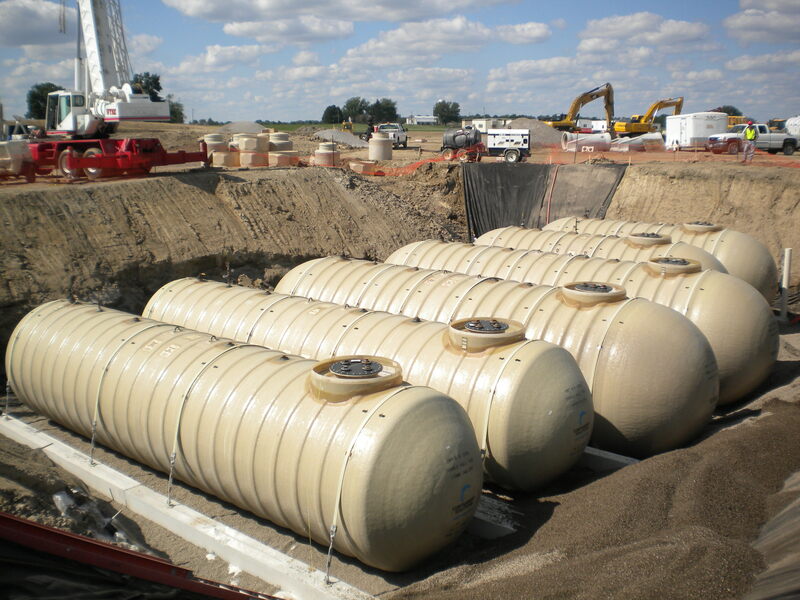 Installation of ten 20,000-gallon above-ground storage tanks inside a warehouse for the storage of various solvents. 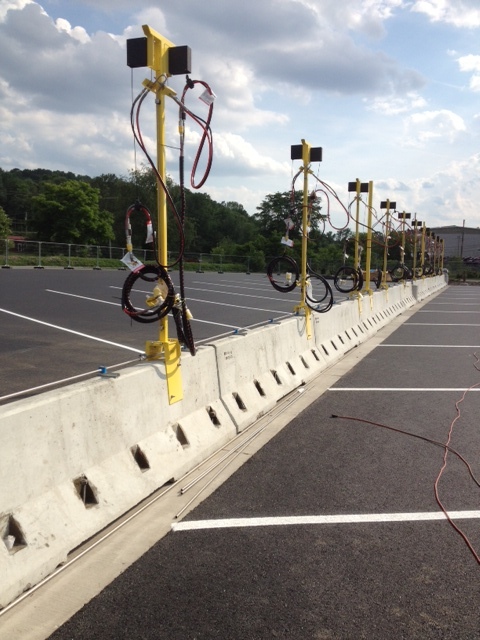 Supply and installation of equipment foundation pads. 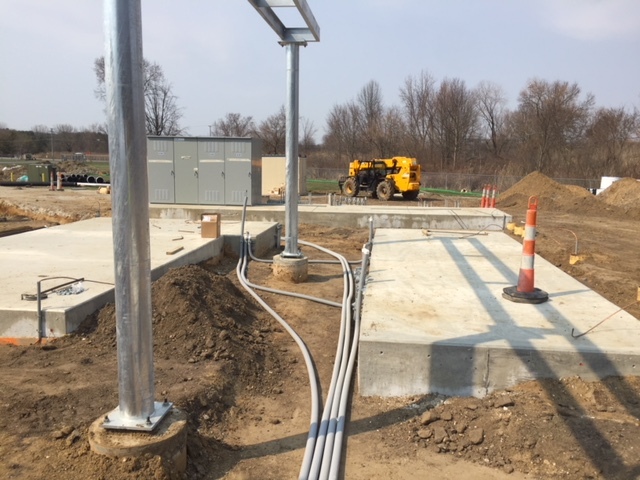 CNG electrical work associated with compressors, dryer, communication cabinet, motor control panels and associated grounding.